After arriving in India dressed in a scarlet paisley printed peplum look and enjoying a game of cricket with school children in a bohemian maxi dress, Kate Middleton stunned in a dazzling blue gown at the end of Day 1 of her Indian Royal Tour. 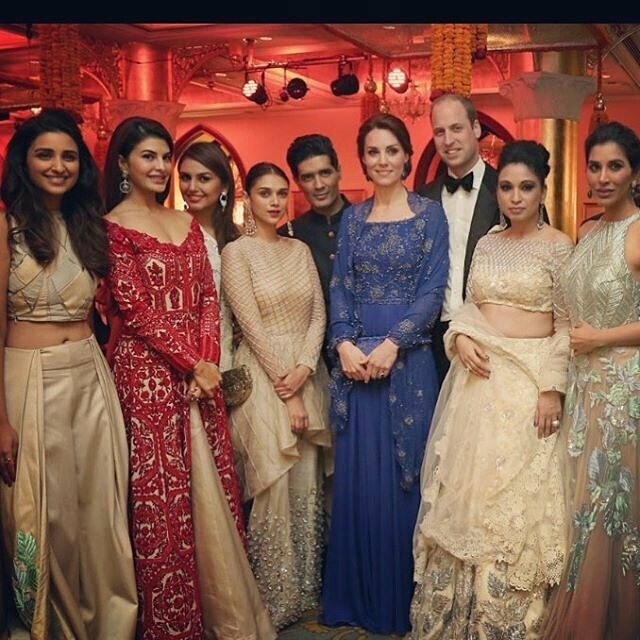 The Duke and Duchess attended a Bollywood Gala held in their honour with the greatest singers, dancers and actors from the worldwide popular Indian Cinema. 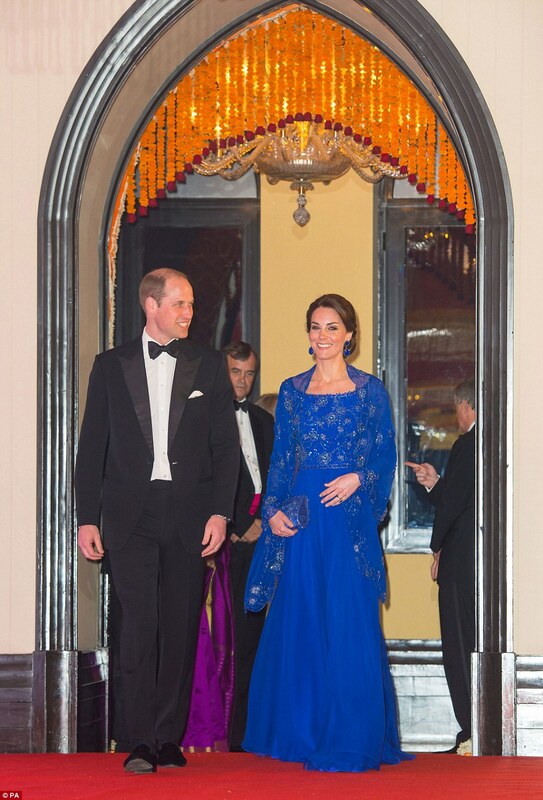 Kate arrived in a cobalt blue, glittering and bedazzling Jenny Packham bespoke gown, on which the embellished work was done in honour of the official tour. The glamorous gown featured an exquisite matching cape which was draped over the Duchess's shoulders, and the full gathered skirt trailed along the floor. 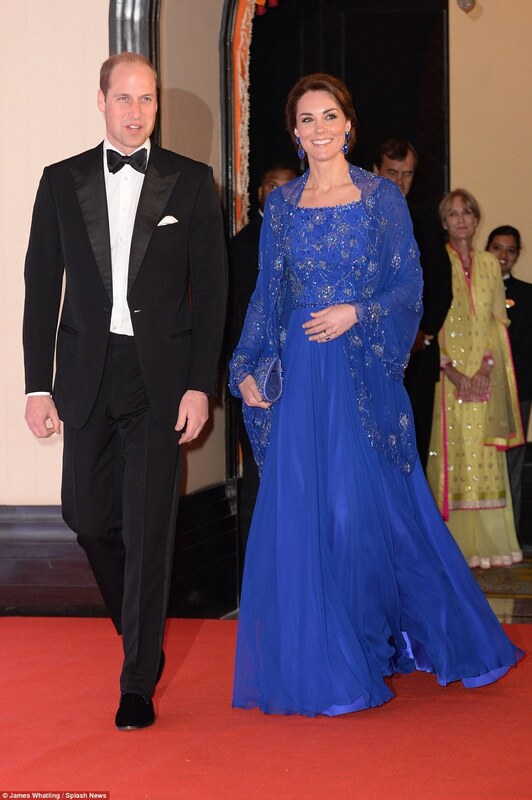 Kate looked gorgeous, an Indian Princess rather than British, and had her hair up in a French inspired twist. 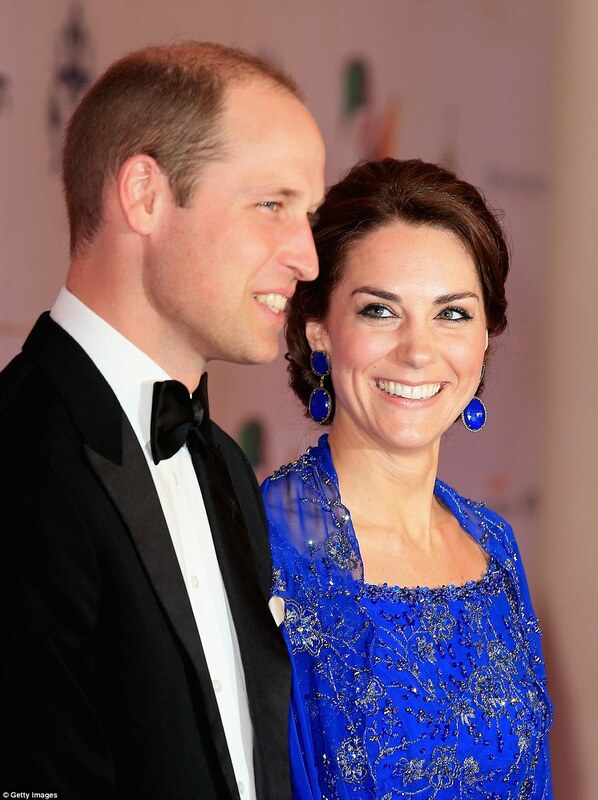 A bold and mesmerizing pair of drop earrings was also worn by the Duchess of Cambridge, from luxury Indian jewellers Amrapali, and a bejewelled navy clutch was also styled with her look. Prince William looked dapper and handsome in a black tuxedo, white shirt dress and bow tie,and geared up for the evening with the most popular names in Bollywood. 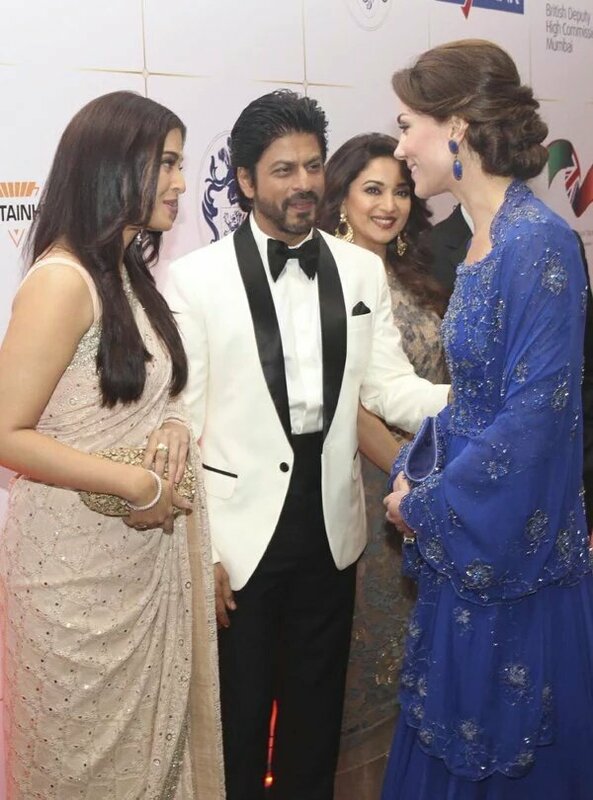 The evening was organised by the British High Comission at the Taj Mahal Palace Hotel, and popular names including Aishwarya Rai Bachan, Shah Rukh Khan, Karan Johar, Madhuri Dixit, Sonam Kapoor and Alia Bhatt amongst others were in attendance. The Duke and Duchess of Cambridge arrived earlier today through British Airways on their seven day official tour of India, and will follow it by an official tour of Bhutan.